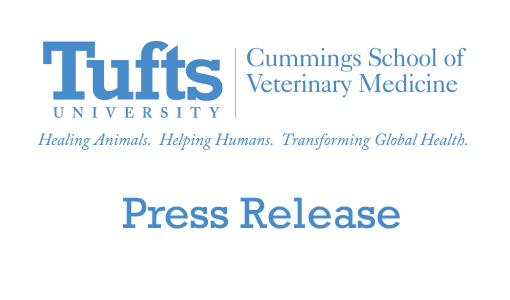 The Cummings School of Veterinary Medicine at Tufts University today announced that it has been re-accredited by the American Veterinary Medical Association’s Council on Education for seven years, the longest period allowable. Following the AVMA‘s protocol, the re-accreditation process included a 50-page self-evaluation document generated by the school, as well as a site visit conducted in October by a six-member delegation. The team presented its findings and recommendations to the larger Council on Education (COE), which in turn granted the maximum seven-year renewal. The COE is recognized by both the US Secretary of Education and the Council for Higher Education Accreditation as the governing body for veterinary school review. The process includes appraisal of the education students receive through an examination of eleven key principles: the school’s organization, finances, facilities and equipment, clinical resources, library and information resources, students, admissions, faculty, curriculum, research offerings and outcomes assessment. 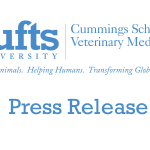 This renewal of our accreditation is a validation of the role that our faculty, staff, policies and facilities play in the education of veterinarians and in moving the veterinary profession forward, said Deborah T. Kochevar, DVM, PhD, dean of the Cummings School. Dr. Kochevar added a special thanks to the school’s accreditation co-chairs, Associate Dean for Academic Affairs Angeline Warner, , , and Lois Colburn, director of administrative services. The October site visit included visits to the school’s Grafton, MA, campus, as well as its emergency and specialty clinic, Tufts VETS, in Walpole, MA, and the livestock-focused Tufts Ambulatory Service in Woodstock, CT, as well as meetings with alumni, students, administrators, standing committees, faculty and DVM and master’s degree candidates. Since the COE‘s 2004 site visit, the Cummings School has invested almost $61 million in infrastructure enhancements, including a nearly 25,000-square-foot campus center, and expanded the business and surgical components of its curriculum. The school also recently announced the formation of a low-cost veterinary clinic at Worcester Technical High School that will increase primary care and wellness experience for students while treating pets from underserved communities in the area.